I started my coverage of the 2017 vendanges with racing terminology and, so, I finish in the same way. It’s definitely over. 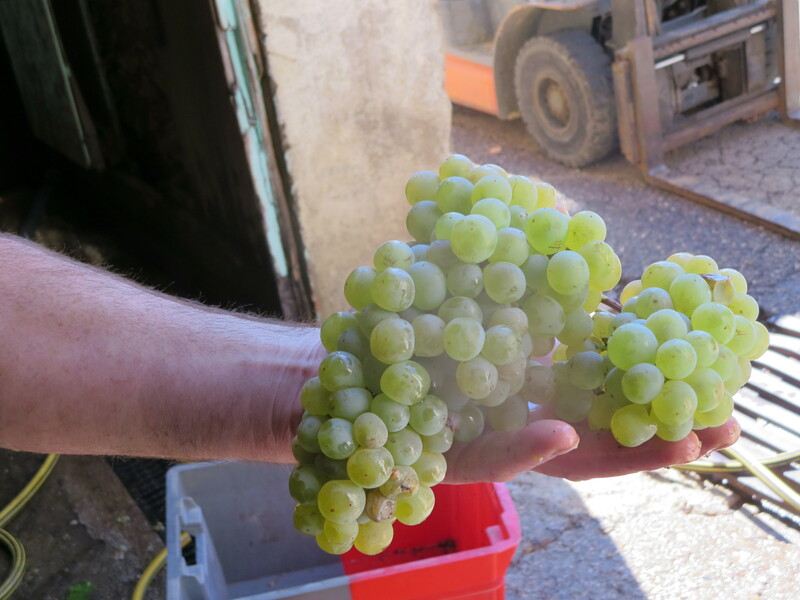 Vendanges 2017 with all its quality, with so little quantity. 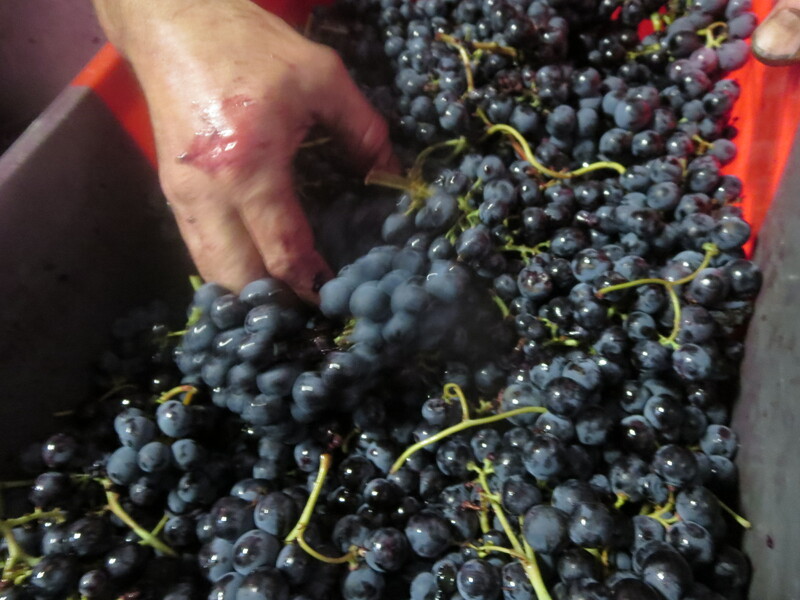 On September 27th the final press of the grapes was completed. 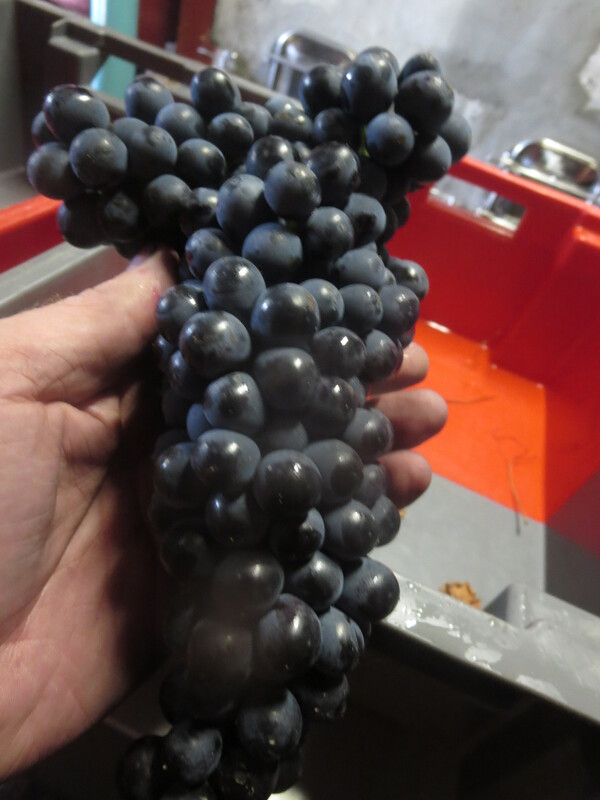 It was the turn of the Cabernet Sauvignon, two weeks after picking. 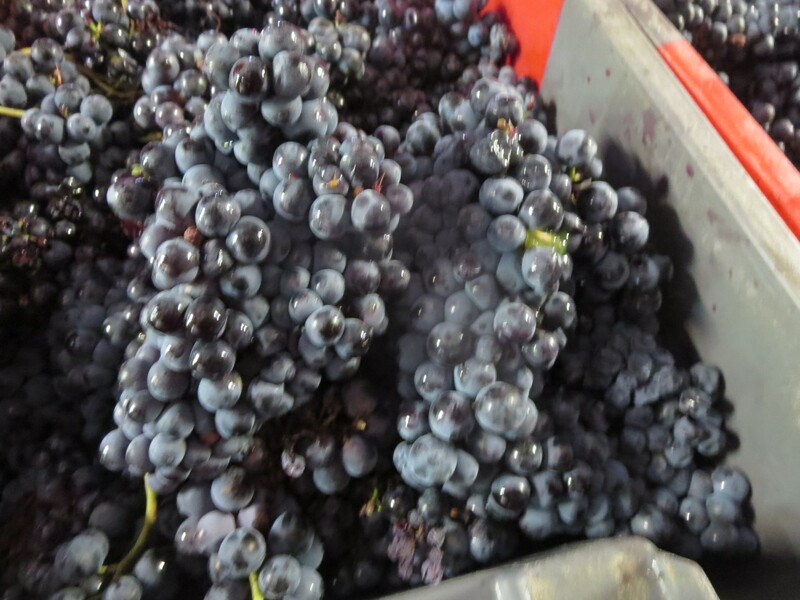 The skins, pips and other solids had done their work in giving up flavour, colour, tannins and so much more. The yeasts had started their work of fermentation. Now it was time to press before that grape must started to be problematic rather than beneficial. The must was pumped from the cuve by the powerful pompe à marc directly into the press. Julien ensured that the press was filled in all corners and then the press began. It inflates a membrane inside which gently presses the must to extract the juice without releasing the more bitter, astringent tannins left in the skins and pips. 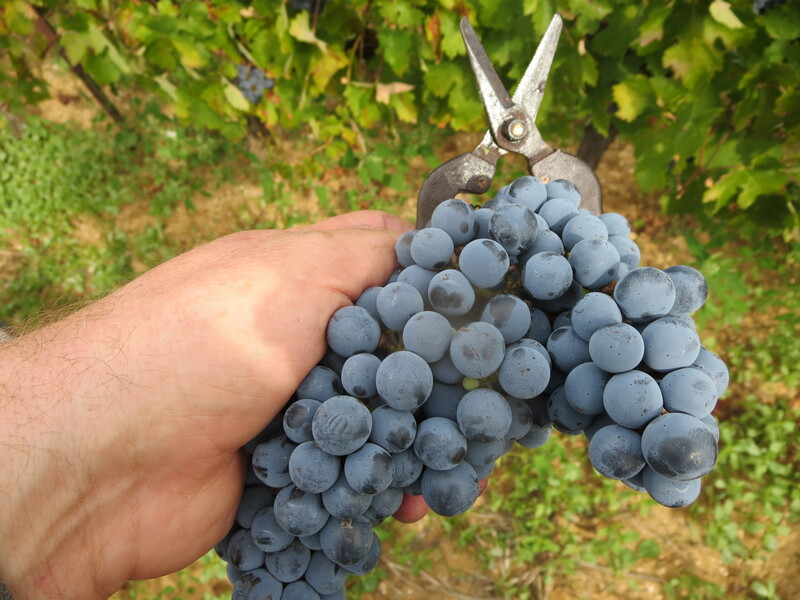 The grape variety (cépage) will determine the amount of pressure applied, Cabernet has small berries and thicker skins so needs a little more pressure than juicier, thinner skinned Cinsault for example. The juice flows and is sent to another cuve to continue its fermentation, then its malolactic fermentation (which removes the more acid flavours). Indeed the analyses of the 2017 wines show that fermentations have gone through quickly, without fuss or problem. 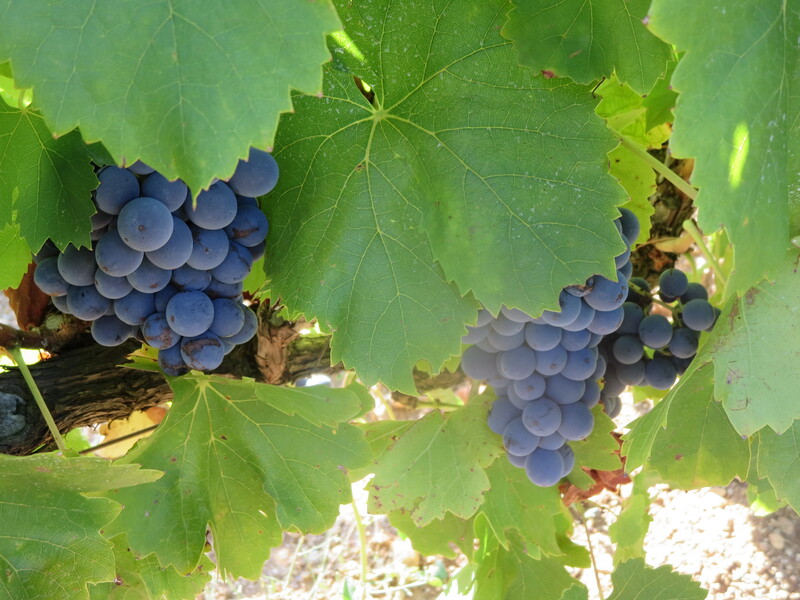 There is no sign of volatility or any other problem, the wines look on course to be as high quality as the grapes themselves. Which, of course, is the goal. Jeff believes in letting the grapes express themselves with as little intervention as possible. This year interventions are minimal, the grapes have done the work. 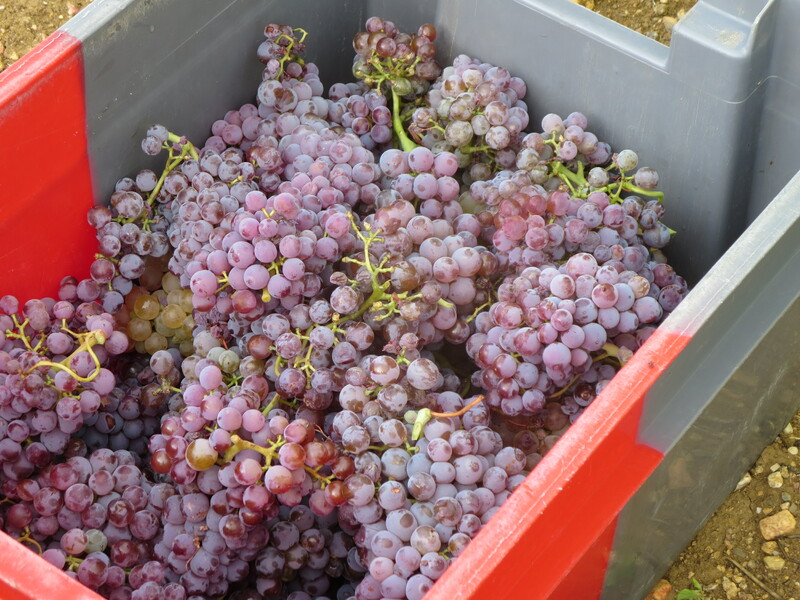 Sadly, the quantities do not reflect the quality and that will bring a financial blow to the domaine and to virtually all domaines in the region. 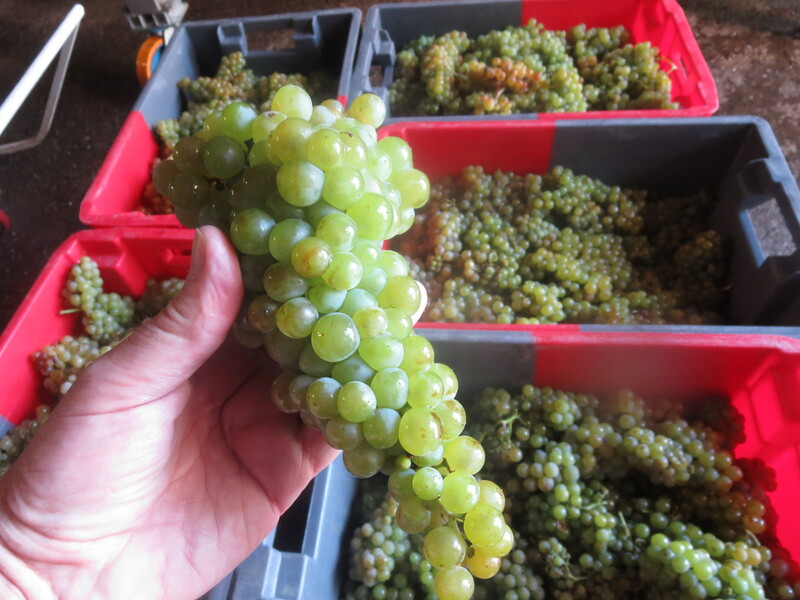 When you are asked to pay a few euros for a bottle of 2017 Mas Coutelou, I hope that you will recall all the work which I have described, the stresses and strains, the love and care which has gone into that bottle and you will consider it money well spent. Categories: Vignerons, Wines | Tags: Cabernet Sauvignon, fermentation, Mas Coutelou, pompe a marc, pressing, tannins | Permalink.